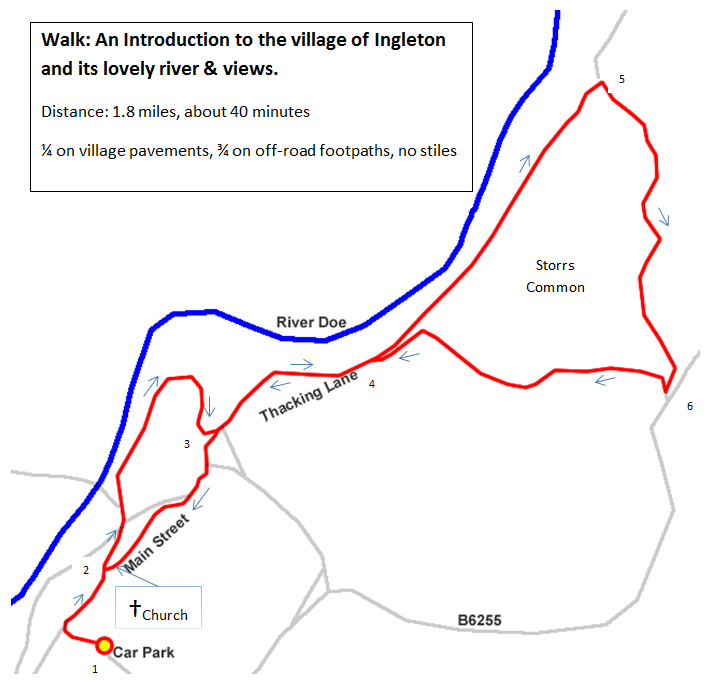 This short Ingleton walk is a good introduction to the village, river & surrounding countryside of Ingleton, it takes about 40 minutes. 1. From the main Ingleton village car park (where the Community Centre is located), walk out of the car park down the road, turn right onto Main Street and go under the viaduct. 2. 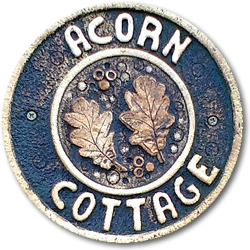 Pass Bank Hall Close (where Acorn Holiday Cottage is located) and Curlew Crafts on your right, then walk down the left road signposted the ‘Waterfalls Walk’. At the end of the road, cross over the bigger road and go behind the railings signposted ‘Swimming Pool’ to get onto the river path. Follow this for about 3 mins. After passing the swimming pool on your left, keep on the path heading up, passing the large white building on your right and the public toilets on your left, signposted ‘Village Centre’. 3. At the top of the road, labelled Sammy Lane, turn left onto Thacking Lane. Continue, passing the Fish & Chip shop on your left. 4. After about 2 mins as the road narrows, go through the metal gate and take the left hand path, then stay straight ahead on the main path up and down the incline for about 7 mins. Head towards the green & yellow sign by a metal gate. You will have lovely views of the River Doe and the flanks of Ingleborough. 5. Instead of crossing over the stream to reach the sign, turn sharp right (see picture below) just before the little flat wooden bridge and head up the hill towards the telegraph poles, bearing right. After about 5 mins, you should see a white house in the distance. Walk straight on until you reach the fish and chip shop, turn left opposite this at the green signpost back into Ingleton village, then turn right along Main Street, past the shops, cafes, church etc until you return to the viaduct and the car park. Please let us know of suggested improvements/clarifications to this walk. 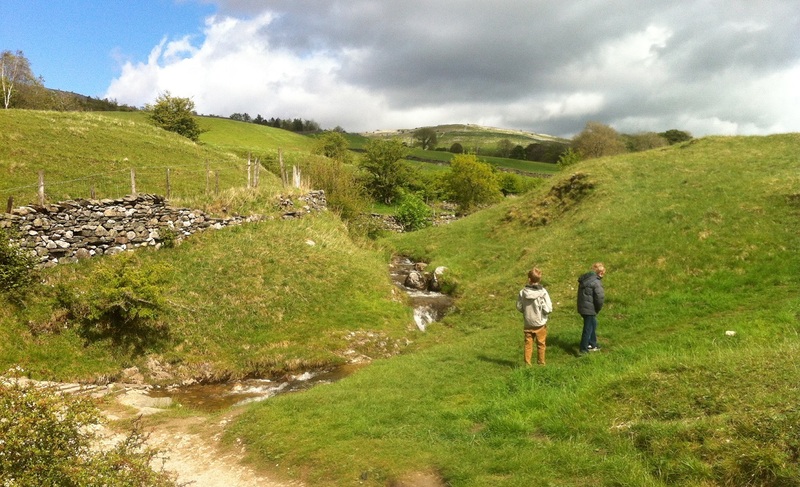 There are, of course, many other good walks in the Ingleton area. We recommend OS Map Yorkshire Dales Western Area, Outdoor Leisure 2 for the best coverage. This includes the Three Peaks of Ingleborough, Whernside & Pen-y-Ghent.